The first John Hines Social Justice Award has been given to the United Thank Offering Grant titled "Five Smooth Stones." "Five Smooth Stones" is a film created by St. Anthony's Episcopal Church in Winder, Georgia; Diocese of Atlanta. The film was created to address the issue of bullying; an issue frequently in the news and that effects all of us. Here is the description of the film from the producers: "Bullying is a major current societal problem wherever children are present. This film is by children, for children. It is to be used primarily as a tool for children, educators, religious, administrators, group leaders, etc. to learn and understand how, where and why bullying takes place and to create an awareness of the various situations that can lead to this type of abuse." 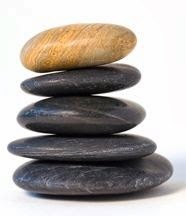 The grant funding will be used to fund the initial publishing of the film on bullying "Five Smooth Stones" and its companion Facilitator/Study Guide, for distribution, marketing and sales for the purpose of anti-bullying education. 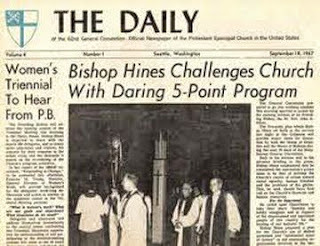 There has long been a desire to celebrate the powerful memory of the Women of the Church supporting Presiding Bishop John Hines request that the United Thank Offering support his initiative titled "The General Convention Special Programs of 1967." In that year, the women changed their grant focus for the 1967-1968 granting seasons, and gave the entire UTO offering to the Presiding Bishop's proposal to address the critical issues of Social Justice facing the United States during the years of Civil Rights struggles—a total of $3,000.000.00. John Hines asked the women of the church for help, and was required by the women to apply for their grant money, through the regular granting process. He honored this request and in turn, his request was granted. The Women of the Church are proud to this day that they, who were not seated at General Convention at that time, were not seated on Vestries, and were not able to be ordained, were able to support the efforts of a courageous leader of the church during the dark days of civil unrest. 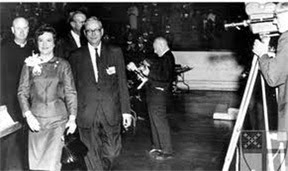 The General Convention Special Programs was one of the most controversial concepts undertaken by the church and many say the church has never been the same! 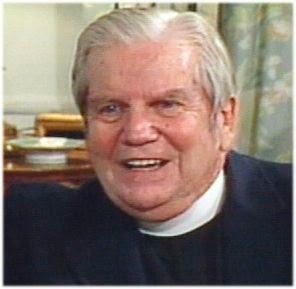 The John Hines Social Justice Award has been created to honor the history of the relationship between the Presiding Bishop and the Women of the Church, still a relationship celebrated by The United Thank Offering Board.